Clash of Kings – Last Empire is a new real time strategy game for iOS where you battle to build an empire and control 7 fantasy kingdoms! If you like PVP or multiplayer online games you’ll love this base building, castle defense game where you must conquer kingdoms to survive! Download on your iPhone or iPad! This multiplayer strategy war game pits you against friends and enemies from all over the world! 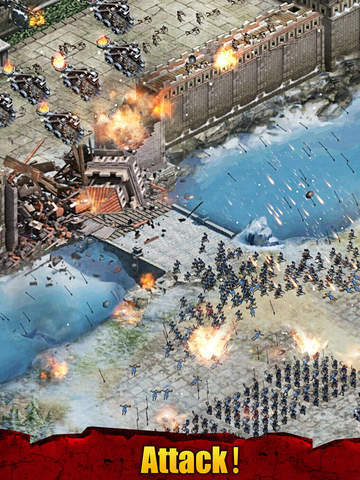 Build massive empires, stand among kings and clash with enemies in these fantasy war games. Explore the fantasy kingdom world as you attack enemies and build castle defense, becoming one of the most powerful fantasy heroes throughout the land! Join thousands of empires in the PVP war for control of the 7 kingdoms in this base- building strategy game! Build armies, attack enemies, raise tower defense, research goods, and gather resources to become the most powerful player! – Use your best real time PVP strategy to win the war! Clash of Kings – Last Empire is a multiplayer online strategy war game all about sending your fighting army against your enemies’ empire and preventing a throne rush of your own. – Empire allies ramp up the action! Join one for protection, deception, to build an empire or to grow your army. The choice is yours! Use your fighting army to fight other players online from all around the world! In this real time strategy war game you’ll rise through the ranks to have the strongest kings empire! – Your fantasy kingdom needs both a strong offense and castle defense. Clash of Kings – Last Empire lets you build massive empires with upgradable buildings and tons of medieval tricks so you can defend your kingdom against an enemy throne rush. Who will attack first, you or your enemies? – The beautiful scenery and art in Clash of Kings – Last Empire makes playing in this fantasy realm an epic war adventure! Explore the world of endless empires and kingdoms! – Real time strategy war PVP games and battles! Build an empire and clash with your enemies in a free fantasy kingdom! – Gather resources as you build a massive empire. Defense against a throne rush is as important attacking an enemy empire. – SimCity like city building of your fantasy kingdom! 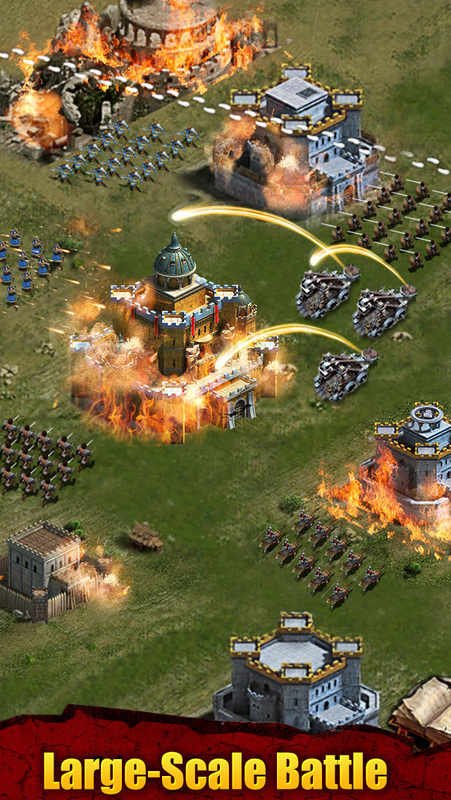 Defend your empire through strong castle defense and war strategy! Build a massive empire to build up your army! – Enjoy the base building action on your iPhone or iPad! Clash of Kings – Last Empire supports both! As you build a massive empire and make empire allies, you’ll also create bitter enemies in this real time multiplayer strategy war game. Explore the massive Clash of Kings – Last Empire landscape and watch your own fantasy kingdom grow. If you enjoy tower defense or castle defense games, you’ll love this base building strategy PVP game. Clash of Kings – Last Empire has many king empires but only one can be the true King, will it be you? Download Clash of Kings – Last Empire and claim the throne today! Connect with Clash of Kings – Last Empire! -The Official position "Judge" has been changed to "Financial Officer"
gyrosphere trials : new version !